Homeowners and business owners are filing insurance claims for the damages caused by the storm, and discovering many insurance companies are less than fair when adjusting claims. Because Hurricane Harvey caused such widespread damage, many insurance companies are looking at millions of dollars in claims. Unfortunately, many insurers are using bad faith tactics to avoid paying out. Homeowners in Houston and all along the Texas coast are dealing with insurance companies misrepresenting policies in an attempt to get out of paying claims. For example, many insurance companies will wrongfully claim certain damage is not covered, when in fact it is. Unfortunately, not only are homeowners struggling with their insurance companies, but many properties flooded in the aftermath of Hurricane Harvey were also exposed to toxic chemicals. There are 13 Superfund toxic waste sites in Houston that were flooded by the storm. Floodwaters have carried the toxins from these locations for miles, contaminating property and affecting the health of residents. For thousands of residents whose homes were flooded by the Addicks and Barker reservoir releases, the process of cleaning up only started a few weeks ago. Moving forward is very difficult because the flood damage has made the homes uninhabitable and unsalvageable. Residents of Crosby have yet to receive answers from Arkema after its chemical plant flooded, lost electricity, and suffered massive explosions. Residents likely won’t have any answers soon as Arkema has hired a legal team to fight lawsuits filed against the company in the aftermath of the explosions. For Texans who were not affected by Hurricane Harvey, the storm has long since left their minds. But for homeowners and business owners with severe property damage, it is a daily struggle to put their lives together again. 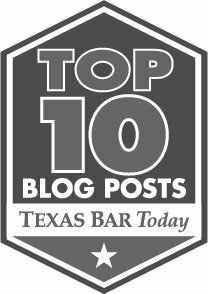 The law firm of Blizzard Law PLLC understands that for Harvey victims, the road to recovery is a long one. It will take months or even years to completely rebuild. Our lawyers are dedicated to helping victims long after the storm has passed. If you are facing difficulties rebuilding after Harvey, contact us for a free consultation. We can analyze your situation and help you understand your legal rights. Previous Post What’s Wrong With Zimmer Biomet Shoulder Implants?